First there was the Age of Aquarius. Then came the Era of Watergate, which began with leaks: first, of the Nixon administration’s secret bombing of Cambodia and then the classified, dark history of the Vietnam War. Daniel Ellsberg was the Edward Snowden of his time, a largely unknown Defense Department analyst who gave a trove of documents—the Pentagon Papers—to The New York Times, and when a court order temporarily shut that channel down, other news organizations jumped in. It was the worst of times, to invert a cliché, and the best. 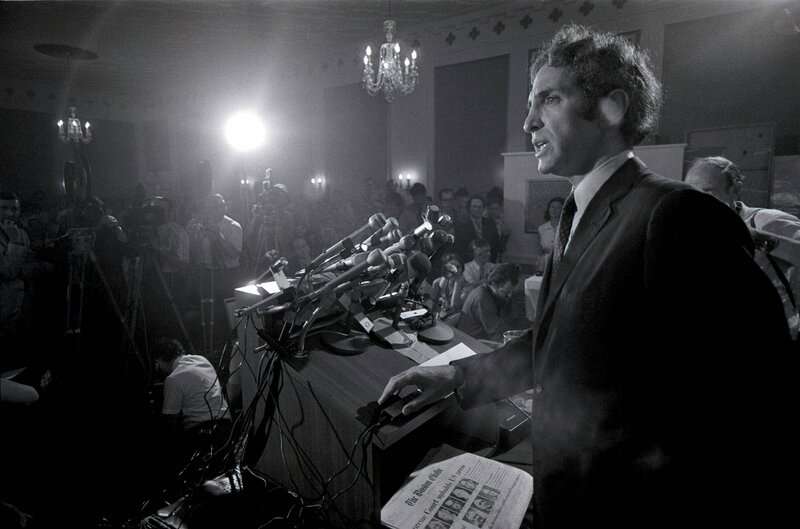 Worst, because the arrest of the Watergate Hotel burglars, who had been told to pursue Ellsberg at all costs, propelled the nation into a constitutional crisis that dragged on for two years. And it was the best, for many, because the crimes of Richard Nixon were exposed and punished, ushering in a new era of counterculture activism. Watergate-inspired activists and reporters flooded Washington. The second coming of the ’60s featured celebrity-studded Washington press conferences starring former intelligence operatives with their own tales from the dark side. Thus was born a leak counterculture, which quickly faded away after a CIA officer named in a magazine called CounterSpy was assassinated by Greek terrorists. National security whistle-blowers largely scuttled back into the shadows, protected only by the anonymity offered by journalists. 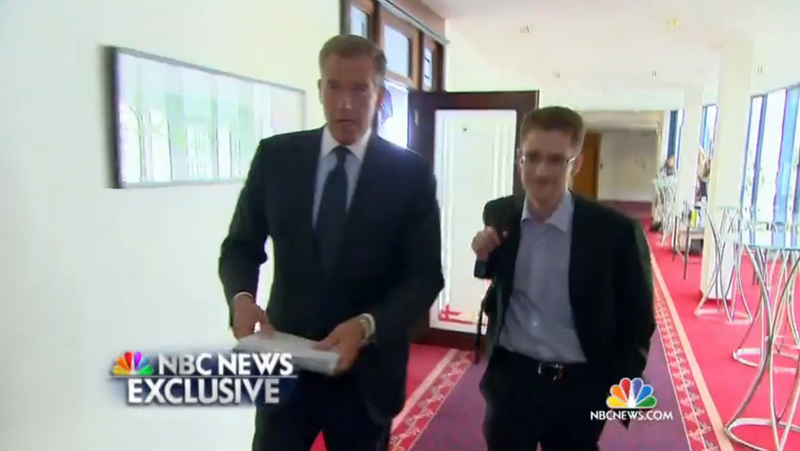 Then came Snowden. Like Ellsberg a generation earlier, he has been excoriated as a traitor. But not since Watergate has the anti-war left—not to mention millions of Americans frustrated by more than a decade of unchecked wars, warrantless wiretaps, CIA torture chambers and drone strikes—had such a transformative, and articulate, figure to rally around. “I have a dream” it isn’t. But it’s likely to resonate for pocket-pencil-protected national security bureaucrats burdened by knowledge of government cover-ups. And should they be tempted to leak, there’s an invitation to go to a new website with instructions and links for an encrypted, anonymous document dump. “Whistleblowers welcome,” it says, somewhat gratuitously, on its home page. The Ellsberg billboard is the battle pennant of this new whistle-blowing project, ExposeFacts.org, which was unveiled at a thinly attended news conference at the National Press Club in Washington on June 4. The display “is the first of its kind, and I can assure you, it’s far from the last,” said Norman Solomon, executive director of the Institute for Public Accuracy, the liberal media-advocacy group behind the project. More billboards will go up around federal buildings in the Washington area, as well as “the citadels of Silicon Valley and Wall Street,” Solomon said, as fast as the money can be raised for them. “We expect to raise several thousand dollars between Monday morning and Monday night,” June 9, he said, when an email push goes out to 430,000 people on a liberal grassroots mailing list. ExposeFacts’s founders say a new channel was needed for exposing documentary evidence of waste, fraud and abuse in classified government programs—things like weapon-systems cost overruns, intelligence-contractor kickbacks and legally questionable covert action projects, all of which are deeply buried under “Top Secret” stamps. Solomon was flanked by three battle-scarred whistle-blowers, two of them former high-ranking, long-serving officials of the National Security Agency (NSA) who were true believers until their internal protests against electronic mass surveillance programs with billion-dollar cost overruns and no privacy protections were ignored. When these officials went outside of channels, they were pursued by Javert-like federal prosecutors. A judge threw out the charges against them, but only after a protracted, expensive struggle. “We must rid the government of management criminals,” said one of the former NSA officials, William Binney. The problem, said his former NSA colleague Kirk Wiebe, is that “there aren’t any channels” inside the spy agencies to report and correct malfeasance while protecting secrets: Complaints end up on the desk of the bosses overseeing the programs, who have no motivation to act. With legislation to protect national security whistle-blowers bottled up in Congress, they argue that something new was needed. “We want to make it more possible for people to tell when the government is off the track,” Ellsberg said in a video message. The ExposeFacts website has an electronic bucket called SecureDrop, which works in concert with the Tor anonymizing software, also available on the site, to help leakers deposit documents confidentially. (Don’t try this at home, it advises. Find a Starbucks.) It’s a kind of WikiLeaks without tears. Washington already has plenty of whistle-blower support organizations—with SecureDrop buttons and Tor software as well. “I think all that is becoming pretty much the standard,” said Joe Newman, communications director for the Project on Government Oversight (POGO), founded in 1981 to expose Pentagon waste. But Newman welcomes ExposeFacts to the fray, telling Newsweek, “We certainly don’t have a monopoly on working with whistle-blowers—there’s plenty of room in this arena.” POGO does not accept classified documents, he added. The government, which has already pursued journalists as leakers’ partners in crime, will undoubtedly attack ExposeFacts for being more left-wing activists than reporters. To be sure, its editorial board is led by well-known liberal crusaders like Barbara Ehrenreich, author of countless articles and 20 books exposing the reality of poverty in America; Sam Husseini, previously the media director for the American-Arab Anti-Discrimination Committee; and Sonali Kolhatkar, a Pacifica Radio host and co-director of a U.S.-based nonprofit organization that supports women’s rights activists in Afghanistan. Solomon is the author of a dozen books, including War Made Easy: How Presidents and Pundits Keep Spinning Us to Death, but is also co-founder of RootsAction, established to “resist the corporatist policies of Speaker [John] Boehner and cohorts at every turn, while confronting the Democratic Party’s reflex of giving ground to extremist proposals in the name of ‘bipartisanship.’” Its 40-plus member advisory board members range from Andrew Cockburn, Washington editor of Harper’s Magazine and a longtime authority on national security and the armed forces, to feminist author-icon Susan Faludi. In between are lawyers, policy analysts and whistle-blowers from the Environmental Protection Agency, the State Department and even Britain’s Government Communications Headquarters, the NSA’s U.K. surveillance partner. Not everyone’s cheering, even among whistle-blower advocates. Mark Zaid, a Washington lawyer who has specialized in representing spy agency and Pentagon employees with a beef against their employers, was particularly appalled by the involvement of lawyers in ExposeFacts. “You can’t say to a client or prospective client, ‘OK, give me classified information and I will protect it.’ The possession of classified information without authorization is an ongoing crime,” Zaid said in an interview. “There are no exceptions for lawyers, whether they have security clearances or not, to possess classified documents without authorization and secure storage capability. “He’s making up a hypothetical that’s not there,” said Radack, a former member of the District of Columbia Bar Association’s Legal Ethics Committee and now the head of GAP’s national security and human rights section. “Of course, lawyers can advocate that a client disclose classified information to, for example, a congressional intelligence committee or the U.S. Office of Special Counsel,” she said by email. Of course, that’s what they all say.